hi i have 2 fish they are both goldfish. i was just wondering do goldfish eat bananas? i tried the 30 second rule and nothing happened so i let them take care of it.they are sort of nibling on it.and i want to make sure they are safe.plz help me . Whoa, J. D. Salinger. It the book anything like his other one? He wrote several books, plus short stories. The short story, APDFBF, features Seymour Glass. He wrote several stories/collections, featuring the Glass family. It's been years since I read it, but I remember liking it. It's certainly a title you'll never forget. The one. Catcher in the Rye. Yeah, but if that's the only one you're aware of, you're short changing yourself. Go ahead and read some of his other works. 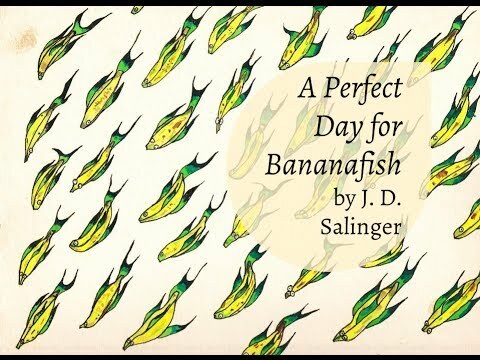 So, how does A Perfect Day for Bananafish compare to The Catcher in the Rye? I have absolutely no idea how to answer this. One is a short story, one is a novel. There are no characters in common. It is an entirely different story with a different plot. If you are that curious, read it. » do fish eat bananas?